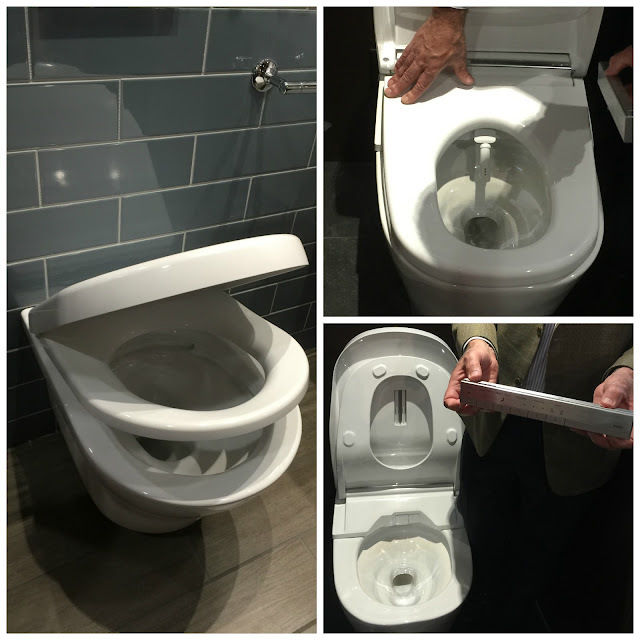 MoD Design Guru - Fresh Ideas + Cleverly Modern Design: What does a TOTO toilet have to do with Chef Bouley? What does a TOTO toilet have to do with Chef Bouley? Last weekend I participated as one of Veronika Miller's Designhounds, an exclusive group of designers and bloggers who hunted down their fave finds from the International Contemporary Furniture Fair (ICFF) and Wanted Design in New York City. 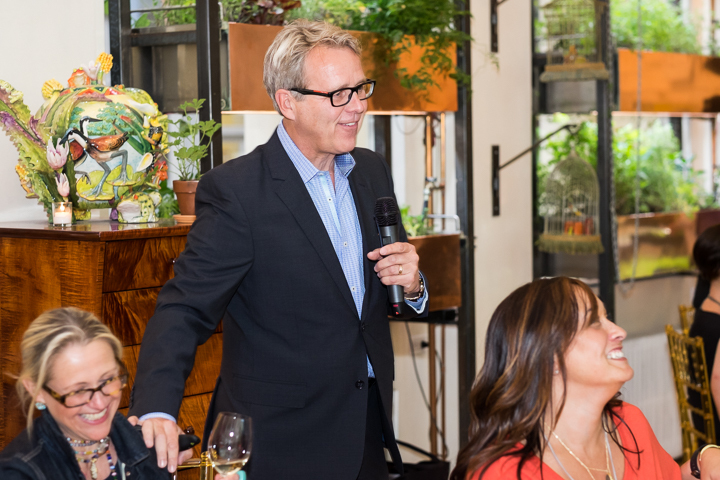 TOTO, one of our wonderful sponsors at the show invited us to dinner at Bouley Botanical after a full day of design. This was not just any dinner, it was an experience. 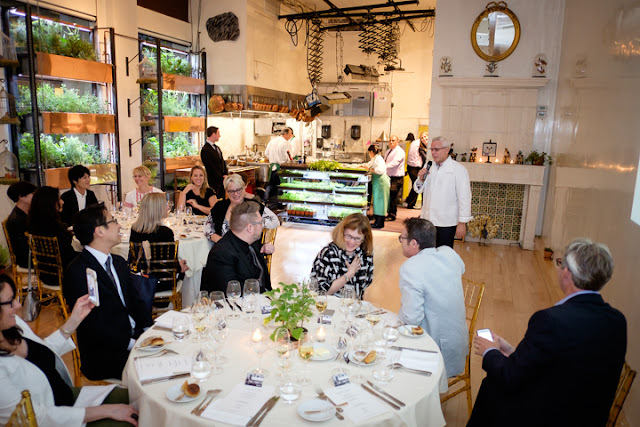 Image above: Chef David Bouley speaking to the Designhounds at Bouley Botanical. 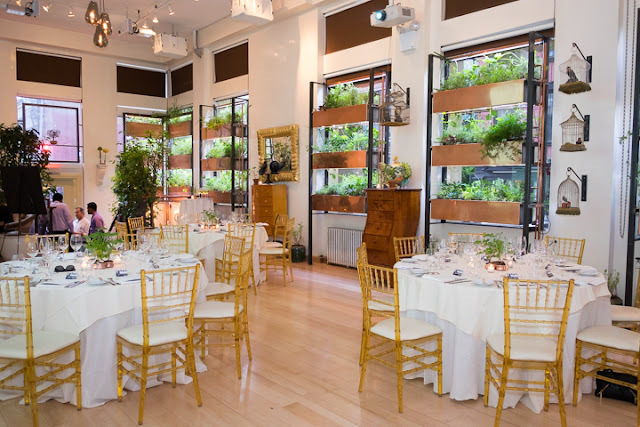 Image above: Bouley Botanical- herbs in the window gardens are used to prepare exquisite meals. Forager's Treasure of Wild Mushrooms - combines mushrooms, black truffle, almond milk and coconut foam. This was a special evening with TOTO and Chef Bouley where innovation, good design and food was celebrated. Even a heated TOTO toilet in the downstairs restroom was a big attraction; but be there no mistake, the washlet fit right into the healthy living theme of the evening. At TOTO, they study the mega trends such as sustainability, smart technology, health and wellness. The intelligent toilet in the restaurant had all the bells and whistles- its integrated personal cleansing system blew our minds. Our table giggled a bit about our own experience with this smart toilet. It responds to users by opening, closing and flushing automatically. It's integrated washlet personal cleansing system offers warm-aerated water to clean and warm air to dry, significantly reducing the consumption of toilet tissue. Bill Strang, TOTO's President of US operations said "this is good design and good business." TOTO sets the market trends in energy efficiency, water conservation and material health and is the leader in products that contribute to healthy, environmentally responsible design. TOTO's eWater + technology is the essence of this smart technology. Using the incoming water supply, a pre-mist wets the bowl surface preventing waste from adhering to the bowl. Also after each flush, TOTO's e Water+ automatically mists the bowl with electrolyzed water which has a slightly acidic ph value, keeping the bowl fresh and clean longer. Bouley Botanical created by Chef David Bouley is a "living events space" designed to excite all five senses. 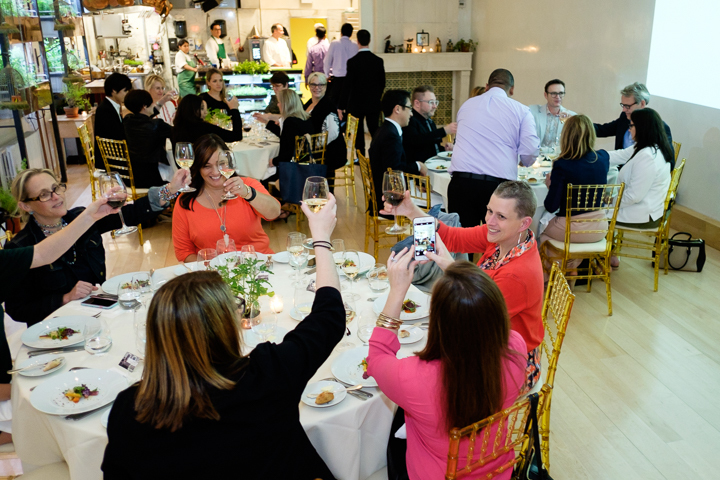 As guests, we were all enveloped in pure ingredients. Four hundred edible species of plants are growing in vertical window gardens. Pretty incredible! 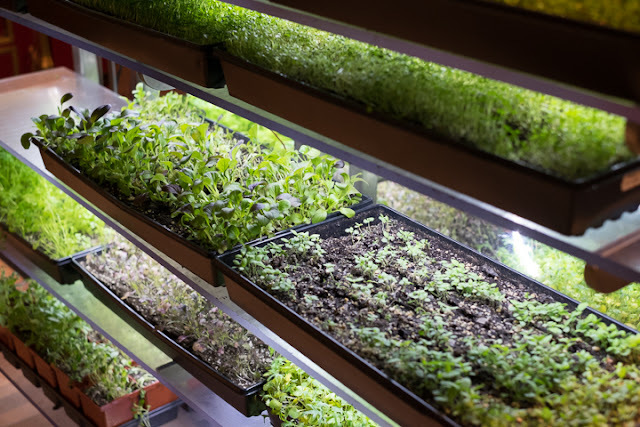 Farm to table is fashionable now and Chef Bouley believes there is a connection between food and wellness where food is the cure to disease. Bouley talked passionately about biodyanamics, a holistic approach to growing food and alternative oils to olive oil like coconut and ginger we can all create ourselves. We all wait for his inventive cookbook. I only hope he makes it easy for the home chef to prepare. Stay tuned...about 2 years out. All in all, my New York City experience was awesome.Thank you TOTO! Thank you Veronika! TOTO innovates to make the bathroom experience personally meaningful and Chef David Bouley innovates to make ingredients healthier. All keys to a better life.